← The Easter Bunny is Coming to West Chester March 31st! Texting While Driving Fines Start Thursday! Starting Thursday, texting while driving will cost you in Pennsylvania. The “Anti-Texting Law” takes effect Thursday at 12:01 a.m. The new law allows police to charge anyone caught text messaging while operating a vehicle with a primary offense and a $50 fine. Authorities say that the law will make it clear just how dangerous texting and driving can be. About 14,000 of the Keystone State’s 2010 crashes were attributed to distracted driving. And 68 people died in those wrecks. Pennsylvania will be the 10th state to enact such a law, according to the National Highway Traffic Safety Administration. 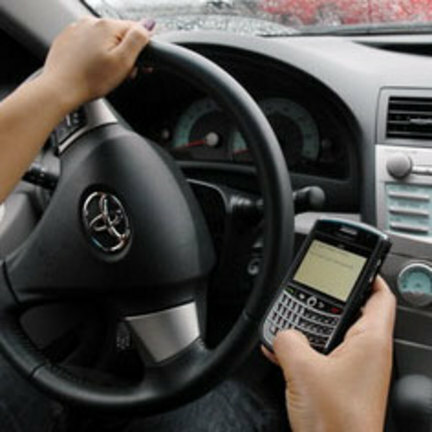 Police hope the law helps prevent future accidents associated with texting. “This is a serious problem and we are hoping that we can educate citizens on the dangers of texting while driving and prevent future accidents,” said State Police Commissioner Frank Noonan. Police say they hope for voluntary compliance from motorists. But that doesn’t mean everyone will stop texting behind the wheel. “Our troopers will attempt to use observations of the driver while the vehicle is in motion to determine if traffic stops are warranted. An example might be the motorist continues to manipulate the device over an extended distance with no apparent voice communication.” For specifics on the law visit PennDOT’s website.